Instead of having to house the pellet boiler in an outhouse the Vecta has been designed as a direct replacement for a floor standing fossil fuelled boiler. With its quiet operation and sleek looks it makes biomass heating a viable proposition for most off-gas homes. The Vecta generates greater efficiencies by monitoring the outside temperature and adjust the systems water temperature to match a heat output closer to the needs of the home. By actively monitoring and adjusting its output the Vecta uses less fuel and makes the whole heating system more efficient. A 60kg top fill integral pellet hopper feeds the boiler with its fuel. Having no separate hopper means that the system is much more compact and can be bag filled unless a bulk store is required in which case one can be fitted with a vacuum system to automatically fill the integral hopper. 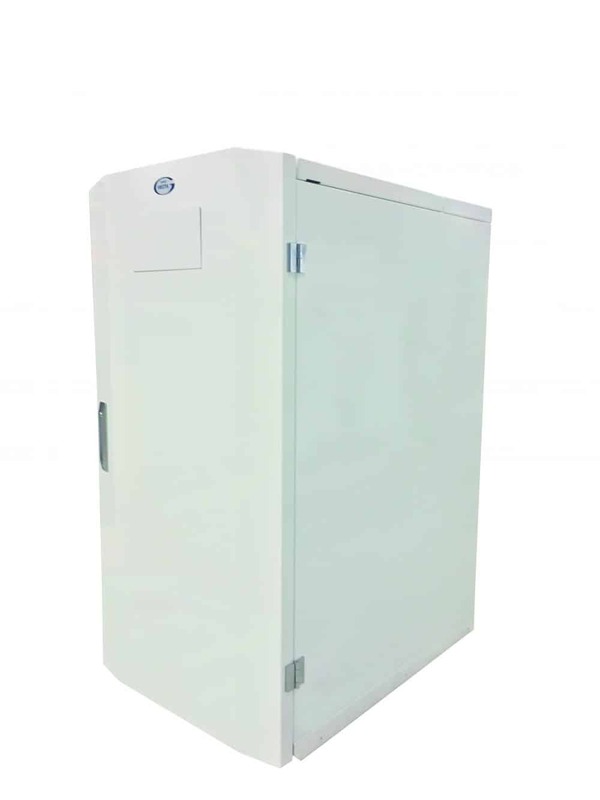 Alternatively, an optional bolt-on store can be fitted to the side of the Vecta which increases the capacity of the systems pellet storage from 60kg to 200kg!